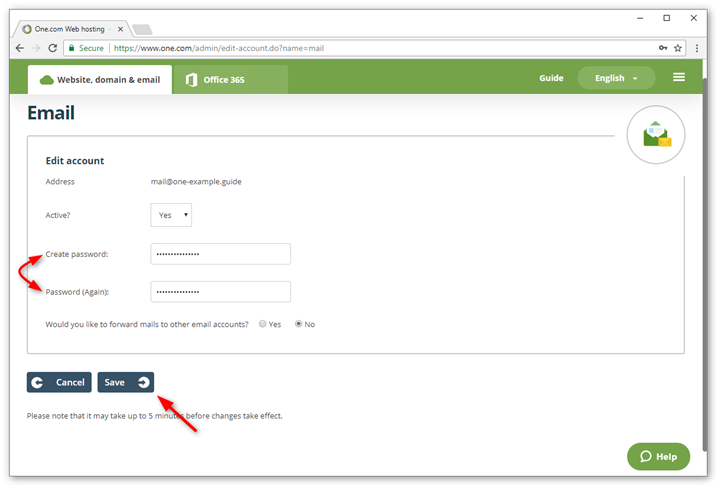 If you have forgotten your webmail password, you can change it in the One.com Control Panel under Mail Administration. Here you can manage all email accounts on your domain. If you don't have access to the Control Panel, please contact our support or your site administrator for more information. Locate the email address you want to change the password for under Accounts. Click Edit under Properties on the right side of your screen. Confirm your new password by typing it in again. Note: It may take up to 5 minutes before you can log in with your new password. If you still remember your Webmail password you can change it inside Webmail. You don't need access to the Control Panel for this. Log in to Webmail with your email account. 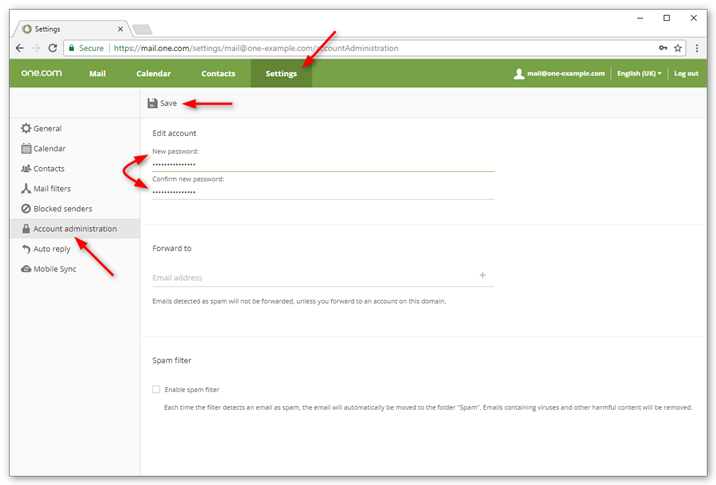 Click Account administration in the menu to the left. Click Save in the top of the screen, to save your changes. Tip: When you enter your new password, the colored line below the input field indicates how strong the password is. The longer the line, the stronger the password. Learn more about choosing a strong password.